In 2017, the Luaka Bop label released WORLD SPIRITUALITY CLASSICS 1: THE ECSTATIC MUSIC OF ALICE COLTRANE TURIYASANGITANANDA and at the beginning of 2018, the time has come to unearth another cosmic classic: Laraaji's album Vision Songs Vol. 1. It was originally released in 1984, four years after his formal breakthrough with the album Day of Radiance that came out as a part of Brian Eno's ambient series, subtitled Ambient 3. Indeed, Laraaji could be considered a pioneer of ambient music and a new age master, but he is much more than that. His fascinating story is unfolded in the excellent in-depth liner notes that accompany Numero Group's reissue of Vision Songs Vol. 1. As opposed to Laraaji's lengthy ambient pieces, the album is much more song-oriented in nature, but make no mistake, these are not ordinary songs, but rather cosmic hymns. Devotional songs meant to inspire and lift up the spirit. The opener, "hara jaya jaya rama I" and the second track "is this clear? I" are both carried by the sound of a shuffling percussive guitar, but the heart of the album's aesthetic is the use of the Casio synthesizer MT-70 that was built to emulate the sound of a Hammond organ and supplemented by a drum machine. 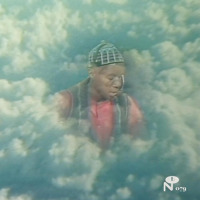 The organ sound present on the album connects the music with gospel and soul and Laraaji's vocal is also soulful, soft and expressive and far from a monotone chant. Highlights include the celestial storytelling of "Cosmic Joe" and the inspirational songs "All of Sudden" and "I Can Only Bliss Out F'days" whose mellow spiritual moods are both soothingly funky and uplifting. Unlike the sticky image that comes with some new age music that seems like a money driven industry based on the need for self-realization, Laraaji's music seems inspired by a genuine wonder of the world and a curious musicality that is just as experimental as it is immediately accessible. Vision Songs Vol. 1 is a true gem and musical gift of love. Track Listing: Hare Jaya Jaya Rama I; Is This Clear? I; Interlude I; Om Namah Shivaya; Today Is This Magic Quality; Great Bells in the Morning; Interlude II; Hare Jaya Jaya Rama II; All of a Sudden; Om Tryumbacom; I Can Only Bliss Out (F'days); We Shall Be Lifted; Allah; Cosmic Joe; Laws of Manifestation; Who's in Love? ; Is This Clear? II; Is This Clear? III. Personnel: Laraaji: vocal, Casio synthesizer MT-70.